This past year has been the year of nutritional enlightenment for me. It started with taking this class, followed by reading The American Way of Eating, watching Forks Over Knives, and discovering Vani’s blog, which all led me to try a plant-based diet. It’s a saddening thing for a food junky like myself to have to watch out for the many ingredients companies smuggle into our food–Red #9, Yellow #3, natural flavors, etc. So today I find myself going the extra step to make whole foods at home that I really don’t have to run out and buy, like almond milk. I know, it’s so easy to just hop on over to Trader Joes or Whole Foods and pick up a carton, but it tastes so much fresher and natural when you make it at home in a matter of minutes minus all the questionable additives. So let’s make us some wholesome and healthy almond milk! First let’s soak our almonds in some water over-night, and after we’ve had a good night’s sleep (hopefully), we drain and rinse the residual muggy water off. Now add almonds, filtered water, and pinch of kosher salt to your blender. 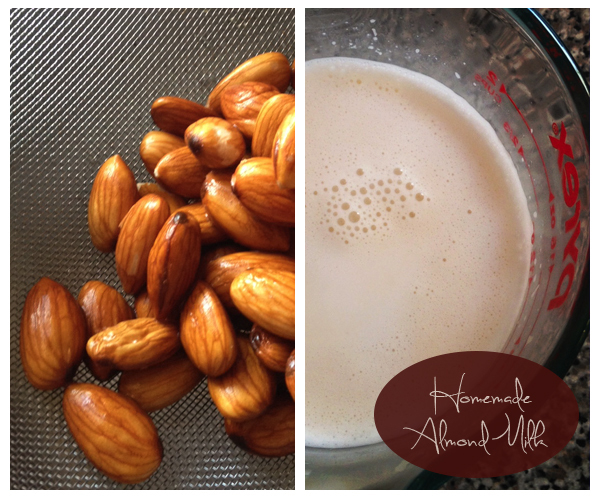 Blitz the heck out of the almonds until you reach the consistency of an ultra liquified smoothie. Grab a container (I just used a measuring cup) and using a large piece of cheese cloth or a thin kitchen towel strain the milk away from the pulp. Tip: you can stash the leftover pulp in your freezer and add to cakes, cookies, or even pancakes. 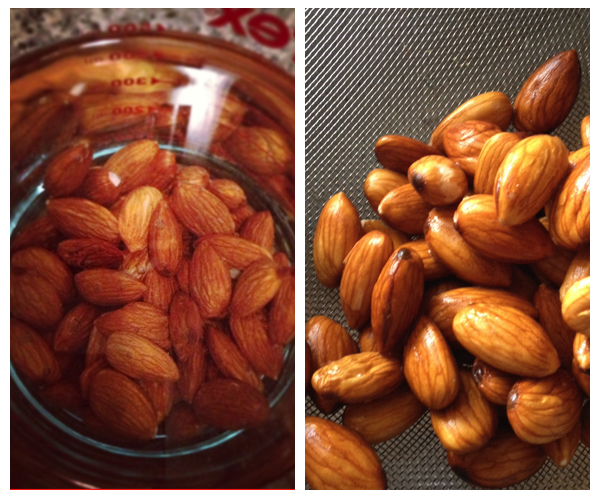 The night before, in a large bowl, soak the almonds in enough water to cover them completely (no need to refrigerate at this point). The following morning dump the muggy water and rinse the almonds under cold running water. 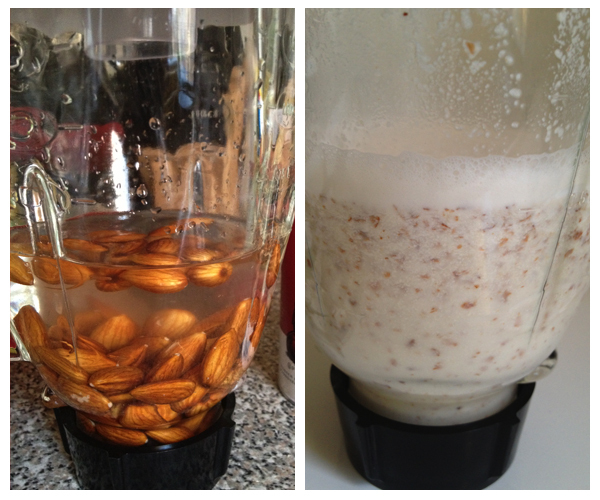 To your blender add the rinsed almonds, filtered water, salt and blend to a liquid consistency. 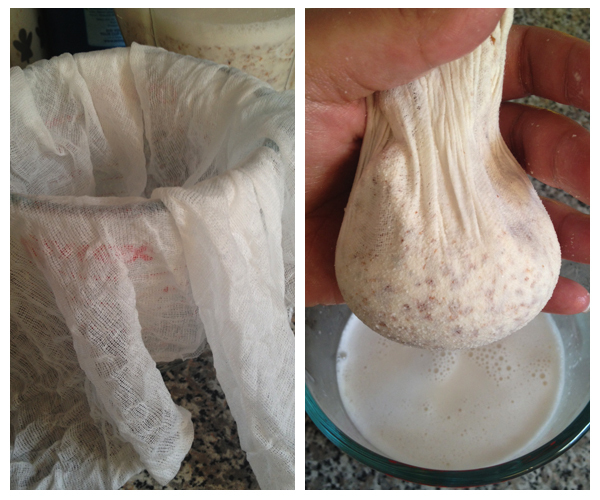 Then separate the pulp from the milk by straining it over cheese cloth or a thin kitchen towel. Make sure to really wring out as much milk as possible. Store the milk in an airtight container in your fridge. The milk will stay fresh for up to 4 days. 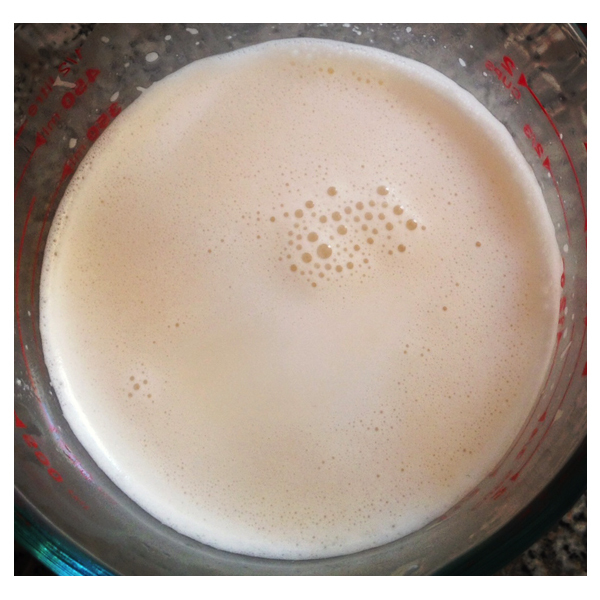 While blending, you can flavor your milk with a 1/4 teaspoon of vanilla extract and honey or dates for sweetness.